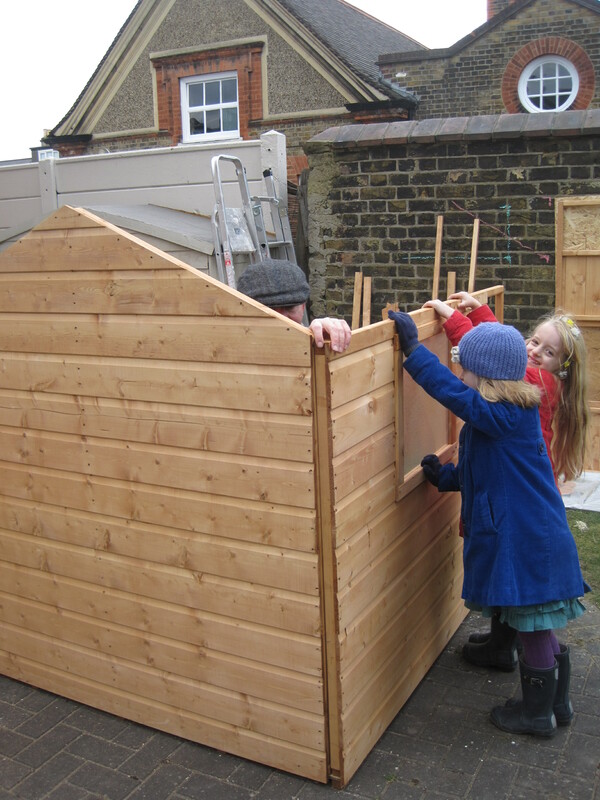 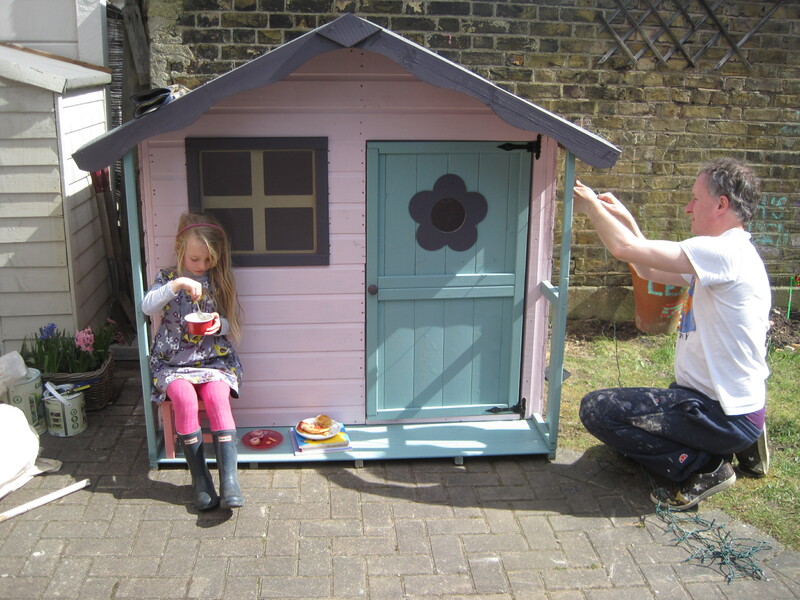 When we moved at the end of last summer, we promised Eve and Leah a playhouse. 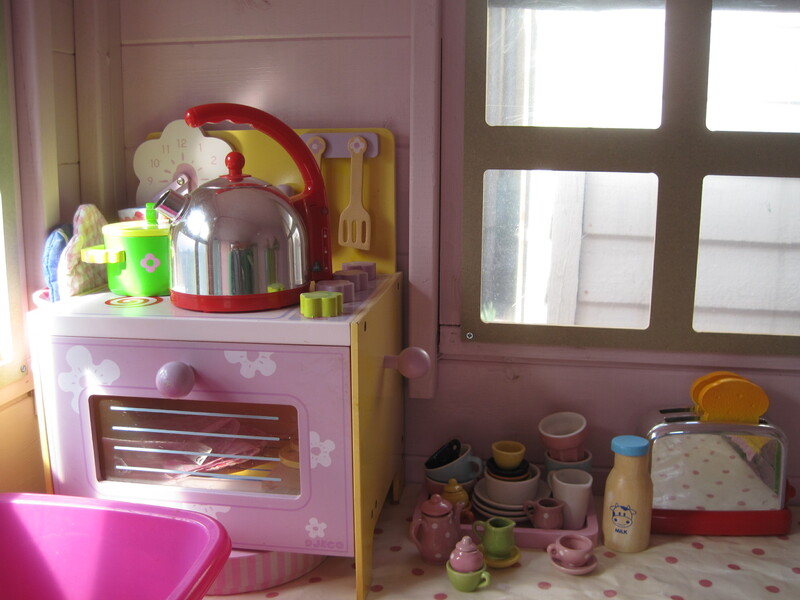 They have been lusting after one of these since a playdate at their friend Maisy’s house, hers even had wallpaper. 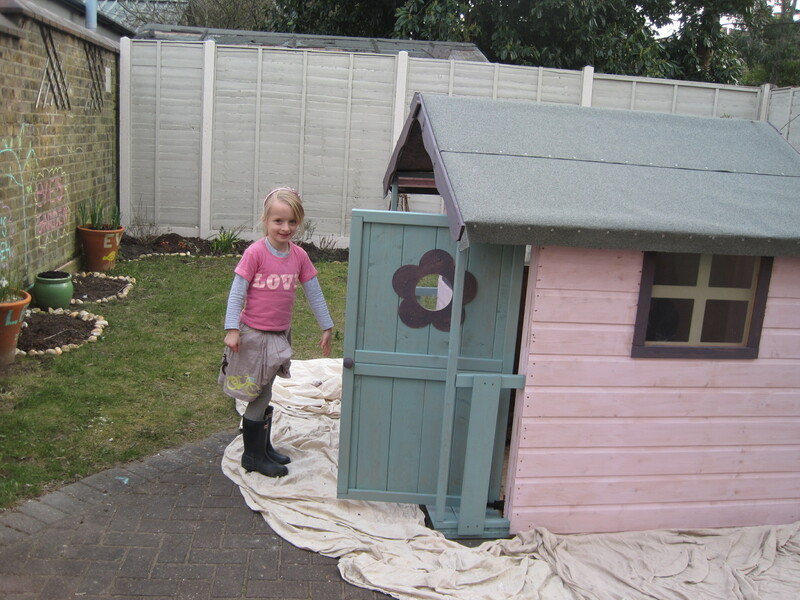 Then painting it – a compromise between their two favourite colours, pink and green. 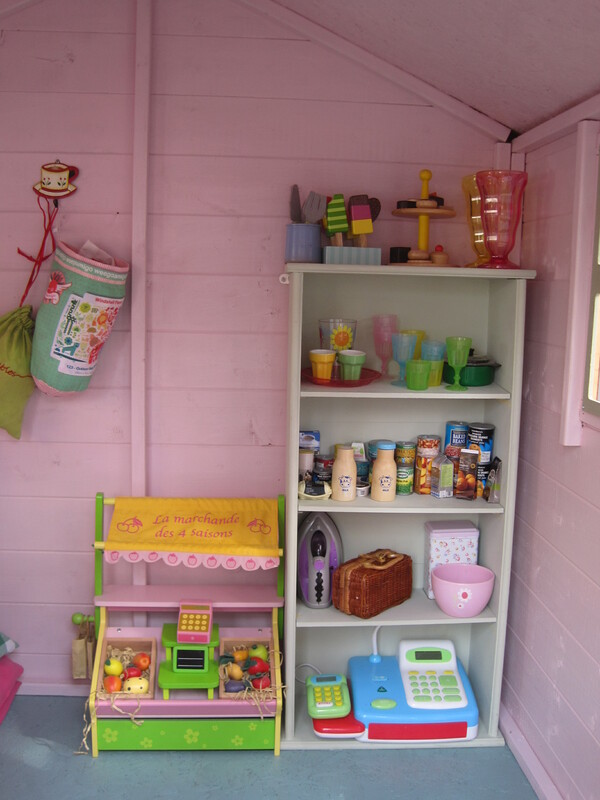 Leah says the vibe is cafe/shop/hotel/pool house. 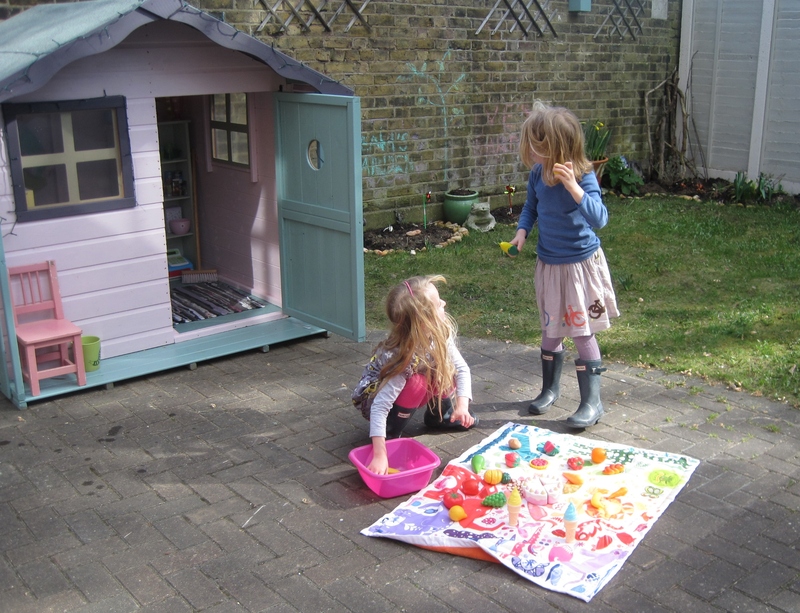 This captures a first – a two hour play session with no input required from us, no squabbling and no tears.